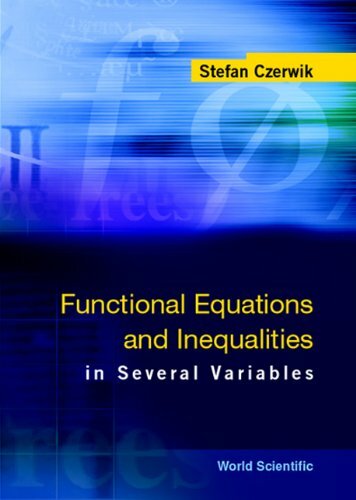 This book outlines the modern theory of functional equations and inequalities in several variables. It consists of three parts. The first is devoted to additive and convex functions defined on linear spaces with semilinear topologies. In the second part, the problems of stability of functional equations in the sense of Ulam-Hyers-Rassias and in some function spaces are considered. In the last part, the functional equations in set-valued functions are dealt with -- for the first time in the mathematical literature. The book contains many fresh results concerning those problems.